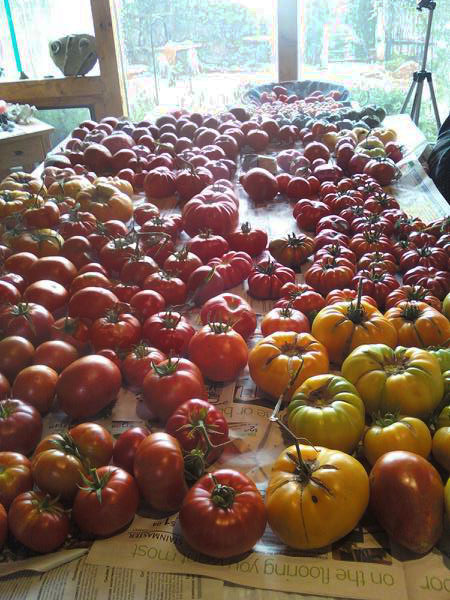 So now that you’ve been waiting all season for your tomatoes to ripen, what do you do when you know that a hard frost is going to hit and you still have lots on the vine? Here are some tips on ripening tomatoes inside. • Watch the news to see when we will get a potential freeze forecast. I have been caught running out at night picking as many as I could because I didn’t watch the weather forecast. I try to look a few days ahead now so I’m not out in the garden at night with my flashlight! • If we are going to get a freeze, run out before it freezes and pick all the decent size ones off. I don’t bother with the small ones, they are probably not mature enough to ripen properly anyways. • Sort the tomatoes from rock hard green to almost ripe and put them in heavy grocery paper bags and fold over the top. That way you don’t have to go through each bag every day and pull out the ones that are ripening sooner. • When they start to change color, I pull them out and put them in bags where they are all similar in the ripening stage. • In the bags with the green ones, I will put an apple in the bag to help ripen them if I am in a hurry. 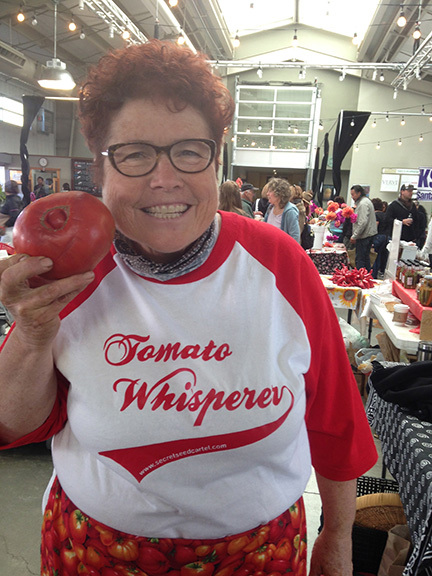 An apple releases ethylene gas (the tomatoes produce this as well) which helps the ripening process. That is why you fold over the bag to help trap the gas that both the tomatoes and apple are releasing. Don’t forget to check your bags every few days. • Some people say to pull the whole plant and hang it upside down and watch the tomatoes as they ripen. Keep the plant out of direct sunlight. This can be done if you have a few plants but if you have a lot of plants, you may not have the room inside (visions of a tomato jungle inside my small house) and this is why I bag mine. I can keep them in another room out of the way. • You can also choose to wrap green tomatoes individually in newspaper and lay them in shallow cardboard box in a single level. Store out of direct sunlight. Check them regularly. I don’t use this as I would have to unwrap all of them to see where they are at but this would work if you don’t have a lot of tomatoes. • Leave them stem side up-they won’t rot as quickly. • When your tomatoes are almost ripe, to increase flavor, set them in front of a warm window a couple of days before you want to use them. • Also to increase flavor, be sure to store them in a room that is at least 55 degrees. Last year I didn’t and they didn’t have much flavor. If they won’t ripen or aren’t flavorful they are probably stored in too cool of a place or perhaps they were too small to begin with. • Lastly you can always pickle green tomatoes or cook with them! 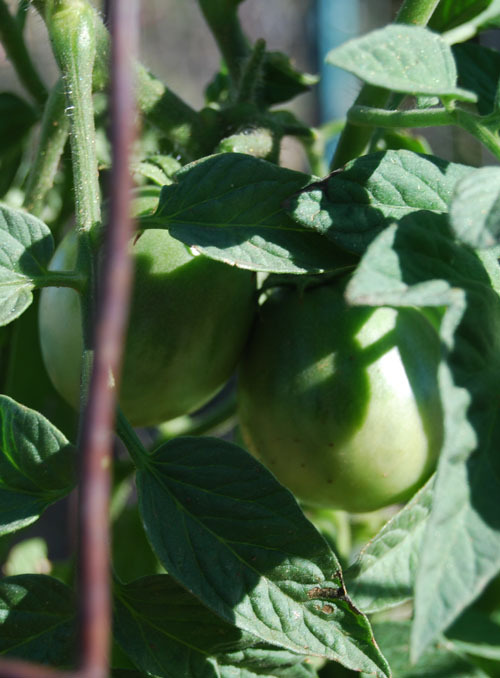 This entry was posted in GARDENING TIPS, general, GIANT TOMATOES, TOMATOES, tomatoes growing tips and tagged ripen green tomatoes, ripening tomatoes inside, tips on ripening tomatoes.